Waiting for the Storm or for the Storm to Pass? I have a sign in my office that says: “Life is not about waiting for the storm to pass. 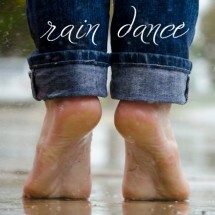 It’s about learning to dance in the rain.” Dancing in the rain sounds fun. Playful. Even joyful. It also sounds messy. To some, it’s scary.